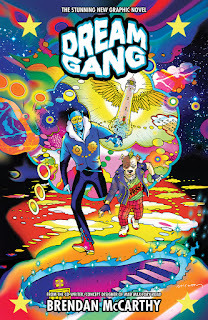 Brendan McCarthy has what one would call a psychedelic comic opus in Dream Gang. 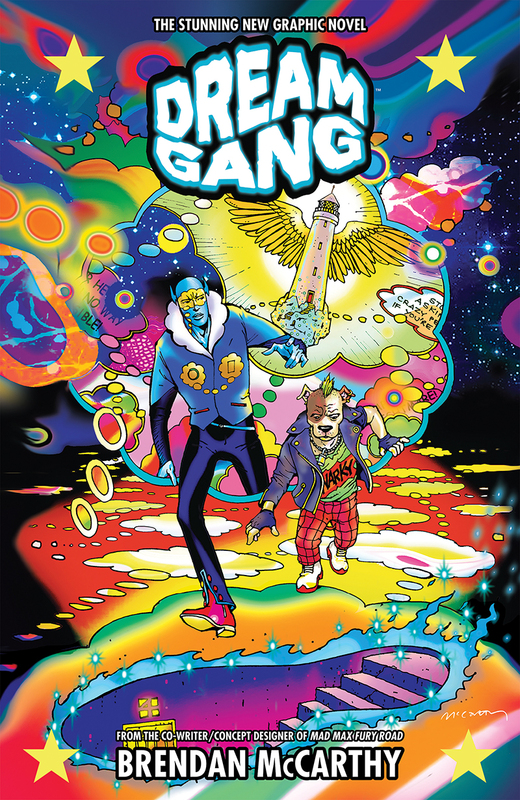 And Dark Horse Comics wants more people to check it out, which is why they're releasing Dream Gang on July 27 that collects the story originally published in Dark Horse Presents. FOR IMMEDIATE RELEASE: MILWAUKIE, OR—Dark Horse Comics announces the release of Brendan McCarthy’s psychedelic comics opus Dream Gang. Brendan McCarthy studied Painting and Film at Chelsea School of Art and is one of the UK's most gifted graphic novelists. His ground-breaking comics of the early 1980s (Strange Days, Skin, Rogan Gosh) as part of 'The British Invasion' paved the way for comics’ increasing popularity in Hollywood. He was also one of the pioneers of computer animation, creating the visuals for the 1990s computer animated TV series ReBoot, the first long-form digital narrative that preceded Pixar and Dreamworks' later successes. He has spent more than 20 years working in Hollywood, and is the co-writer and a designer on Mad Max Fury Road. More recently, Brendan has created new graphic novels including Spider-Man Fever (for Marvel), Solo (for DC Comics) and Swimini Purpose, The Zaucer of Zilk and Dream Gang for independent US publishers. A best-selling retrospective collection of his classic comic book work was released last year from Dark Horse Comics, The Best of Milligan & McCarthy.